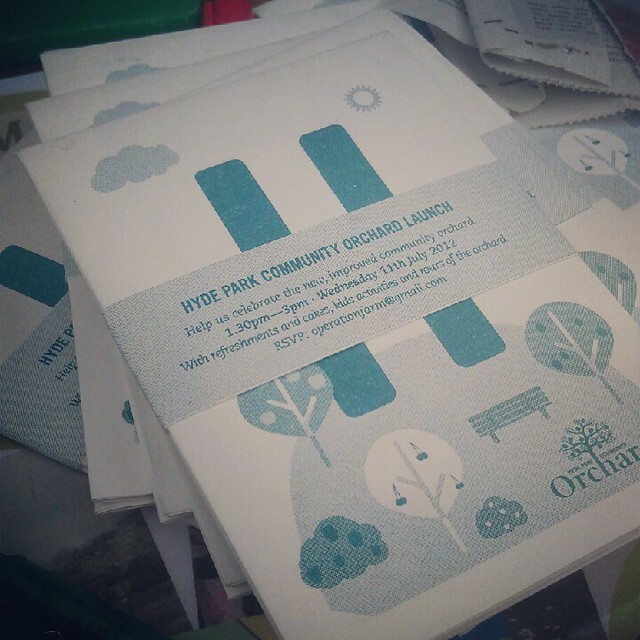 Hot off the presses we have a beautiful new leaflet for the Hyde Park Community Orchard. Designed by Textbook Studio of Hotspur House, Manchester and riso printed by Marc the Printers, the leaflet features a plan of the orchard, a key for identifying fruit and some tasty recipe ideas. Copies will be available soon to pick up from the Bayley Hall Park Cafe in the centre of the park.